There are some among the left who idealize the public sector. They fail to address how the public sector magically treats workers in the public sector, who are employees, as human beings rather than as things. They have no solution to the problem of the employer-employee relation in general except–nationalization. Such nationalization hardly implies democratization and humanization of the workplace, and yet the left continue to idealize the public sector. (d) Hire, classify, direct, transfer, lay off, promote, demote, suspend, discipline or discharge employees for just cause provided that a claim of direction, transfer, promotion, demotion, lay off, suspension, discipline or discharge without just cause may be the subject of a grievance under the orderly procedure as outlined in this Agreement. 2:02 The Employer agrees that such rights shall be exercised in a fair manner consistent with the terms and provisions of this Agreement. 2:03 The Employer will inform the Union and the Chairperson, in writing, with at least one (1) month notice, prior to any changes concerning rules and regulations as referred to in 2:01 (c) above. Should the radical left not develop a more critical approach to the public sector? Should it not also develop a more thoroughgoing critical analysis of this sector (as Marx did for the private sector)? What of public financing? What is the left’s analysis of such financing? In relation to the employer-employee relation and the power structure at work in the public sector? 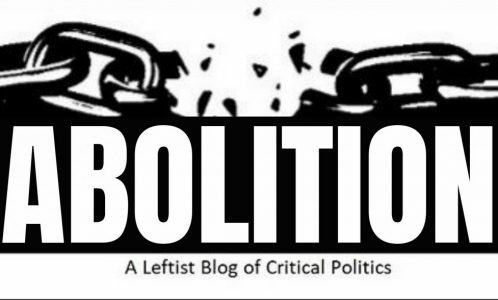 Should the left engage in self-criticism–including its own theoretical, empirical and practical limitations?